On September 5th, Vanguard Instruments Company, a premier test equipment provider serving the global electric utility market, became a part of Doble Engineering Company. 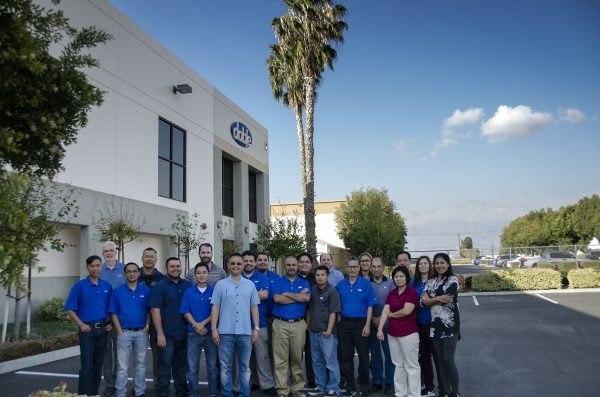 Founded in 1991 and located in Ontario, California, USA, Vanguard Instruments offers a wide range of diagnostic test equipment to accurately and efficiently measure the health of critical substation equipment, such as transformers, circuit breakers, and protective relays. We recently spoke with Doble’s president, Bryan Sayler, to learn more about what bringing Vanguard under the Doble umbrella means for our customers and industry. Our goal is to ensure the reliable and safe delivery of power. We do this by providing customers with the tools they need to perform their jobs accurately, safely, and efficiently. Expanding our product offering with Vanguard Instruments helps us achieve that ultimate goal. The company offers a wide range of testing instruments, from specialized equipment to comprehensive diagnostic solutions, which play a very important and vital role in maintaining the health of assets such as transformers and circuit breakers. Vanguard’s products are an excellent complement to the Doble portfolio and together, we’re confident we’re providing the most rugged and reliable testing equipment on the market. What does the Vanguard product line bring to Doble? The addition of Vanguard’s robust portfolio brings many great tools that we’re excited to offer to our customers. These include microcomputer-based precision micro-ohmmeters, automatic current transformer testers, single- and three-phase transformer winding turns-ratio testers, transformer winding-resistance meters, mega-ohm resistance meters and a variety of other application-specific products. Of course there is also Vanguard’s line of highly regarded, computerized extra high-voltage (EHV) circuit breaker analyzers. These analyzers bring important additional features to Doble’s existing circuit breaker test offerings, arguably making this the most comprehensive set of circuit breaker testing tools in the market today. The benefit to our customers is simple, yet powerful: you can now choose from a complete range of rugged equipment to test and actively monitor the health of your critical assets, and ensure overall reliability. This year we’ve added both Morgan Schaffer and Vanguard to Doble; it’s all part of our commitment to provide our customers with the industry’s best products and services. FURTHER READING: Read our news story about the Vanguard acquisition and our recent blog post about the Morgan Schaffer acquisition.